After choosing the right partner to design and build an amazing website, the next critical decision that every business needs to make is how to enhance its digital brand by choosing the right web hosting. Crazy Good Digital has engineered a “best-in-class” hosting solution that leverages multiple web technologies to deliver unsurpassed performance. But why does hosting even matter? How can a business owner decipher the maze of providers, products and prices in the marketplace today? “e-commerce websites should aim for less than 2 seconds. Crazy Good Digital embraces these performance challenges and continuously looks for new ways to improve the performance of each client’s website. Recently, we reduced the load time for a client’s website by 50%, taking it from roughly a 3 second load time to a 1.5 second load time. We look forward to helping you do the same. Fast web page loading depends directly on the quality of your web hosting. The more computing resources allocated to serving your website content, the faster those web pages load. Inexpensive web hosting companies assign hundreds or thousands of websites to one server to compensate for the low prices they charge. This strategy works as long as there are only few page requests at the same time. In our experience, this rarely happens and as a result, cheap shared hosting tends to deliver inconsistent results, and at times, even a terrible web customer experience. At Crazy Good Digital, we created our web infrastructure from the ground up and adopted conservative business practices to consistently deliver great web hosting performance at attractive prices. We intentionally keep our servers lightly loaded (less than 50% capacity) to make sure that if every client’s website doubles its traffic at the same time, we can handle the increased load. But our efforts don’t stop there. 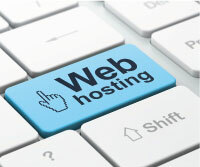 Our web hosting service incorporates some of the best web technology available today and, with the right vendors behind us, we deliver a consistent, high performing suite of web services. Fastest DNS available means your visitors web page requests are sent to our servers faster than other companies. (Note: emails sent to you are routed faster as well). SSL encryption on every website. When the address line in your browser begins with https, you are talking to an SSL encrypted server. Some browsers will show you a lock icon as a visible indicator of the higher level of security employed. While SSL encryption has been the de facto standard for transactional websites, we’ve been doing this on informational websites for quite some time now. It’s just good business. We feel the extra effort is worth it to protect our clients and their web visitors. One of the ancillary benefits of SSL encryption is a marked improvement in SEO page ranking earned by our clients when we moved their websites to an SSL hosting environment. SEO consultants highlighted SSL encryption as an “SEO signal”, indicating that in their opinion, Google was elevating the page ranking of SSL encrypted content. More recently, Google has gone beyond positively rewarding SSL encrypted websites and has now started “security shaming” websites that do not have SSL encryption. For all these reasons, we strongly recommend https only websites. Can we help migrate yours to SSL encryption? Crazy Good Digital web servers are deployed with advanced Web Technologies that accelerate serving of web pages to gain performance advantage for our clients. These include HTTP/2, Brotli compression and many others. All of these technologies are currently supported by all major browsers and significantly speed up the delivery of web content across all devices. Some of the fastest websites are also the simplest. Websites with lots of content (images and videos) can be challenging to display quickly, especially on mobile devices. We strive to balance the demands of visitors for instantaneous content with their desire for rich, visually appealing pages. Let us help you find the right solution for your business and customers.